Foreigner’s fourth album has sparked a lot of debate among hard rockers. 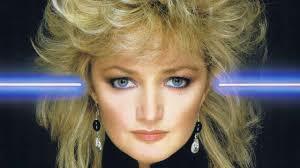 It has been said that this was where they shifted from their harder rock sound to a more commercial soft sound. 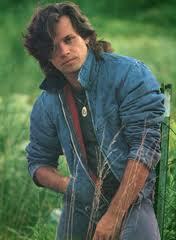 The catalyst for this debate was the fact that in 1981, Foreigner’s ballad from “4” made it into the top ten. I remember my African American comrades in arms listening to this song along with their European American counterparts. “Waiting For a Girl Like You” was their biggest hit to date, even going to number one in several countries. 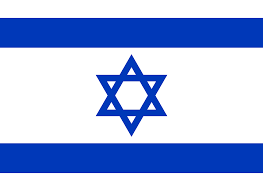 In fact, that evening in April 1982, when I was in Israel, the song was the next one above “Centerfold” and if my mind is right on this, “Waiting For a Girl Like You” would have been number 4 in the Israeli pop charts. 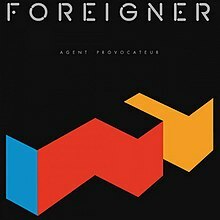 So, it is fair to say that Foreigner sold out with this album? I have to say a sincere “NO!” on this one. The very first track, “Night Life” is a right hard rock awakener the way a good opening album track should be. 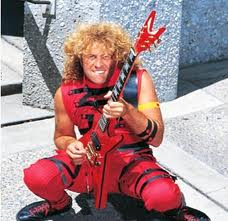 Then there’s my favourite track on the album, “Juke Box Hero.” I love the fact that when Lou Gramm sings “that one guitar,” a guitar power chord kicks in immediately after, nice. The other top forty track on the album “Urgent” is not an abandonment from their hard rock roots. The very first time I heard it, I admit I was a little put off by the sax solo until I remember that my favourite song off the “Double Vision” album has one. What truly confirms to me that this album is a true rocker is the last four songs on the album. All of them good rock tunes and I particularly love the intro on “Woman in Black.” So no, the one ballad on this album doesn’t detract from the hard rock sound that made Foreigner an icon in the late 70s. I think that the problem Foreigner had with getting a ballad to number one in the pop charts manifested itself after this album. Like so many bands who achieved the same in the early 80s, they thought they had to keep making chart ballads from then on. I’ll go more into that in due course but right now, let’s enjoy a fine album from Foreigner. “4” is arguably their best album and it’s easy to see why. Call it karma, coincidence or whatever but it turns out the my 200th post here on 80smetalman’s blog is the first album I visit in the golden decade. I chose “Head Games” by Foreigner because it was the first new album I listened to in that year. An old marine buddy had it on 8-track and it was one of our many cruising albums. I also remember every time I went into the Enlisted Men’s Club in the January, “Dirty White Boy” or some other song from this album would be playing. I thought now as I did then, it was a great way to begin the year or the decade for that matter. Following one good album is tough enough for a band, but following two is a colossal challenge. Foreigner had to follow up their debut album and their fantastic second album “Double Vision,” both great albums. “Head Games for me, does a great job in doing so. I love the hard rock, early metal sound of “Dirty White Boy” and “Women is also a classic rocker for me as well and of course the title cut. In the months that followed, the title cut became sort of my anthem song for the time as I concluded that the Marine Corps was good a playing those types of games. Unlike some of their future albums, there is nothing really to what I would call a ballad. The closest is the track “Blinded by Science,” but even that isn’t really what I would call a proper ballad. 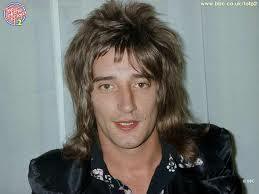 Instead, you get the hard rocking sound that defined Foreigner in those early days. Not only with the classic songs but the rest of the album provides a feel good factor when you’re rocking away to it. 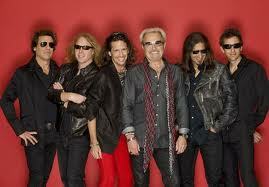 Foreigner have been described as an Anglo-American rock band because members come from both countries. History shows us what Anglo-American cooperation can do in wartime but in music, they can produce things even greater. 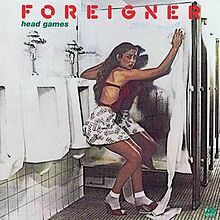 Foreigner and the album “Head Games” is proof of that. I have finally figured out why my AM clock radio finally gave up the ghost in early 1979. It couldn’t handle the hard rock coming out of it in the summer of 1978. First, there was the song “Life’s Been Good” by Joe Walsh and on the same night, it belted out “Hot Blooded” by Foreigner. It is obvious now that two such hard rocking tunes were too much for a device that was used to blasting out disco tunes; it probably blew a tube from it all. 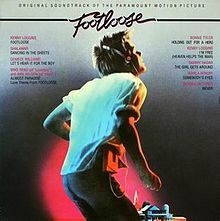 For me, the summer of 1978, was a good rocking summer and this album was one of the reasons why. The album “Double Vision,” the second album by Foreigner, has been considered by many, me included, as one of their best albums all around. It has a good rocking edge that has you rocking away from the very first song. (It does help that “Hot Blooded” is the first song.) However, the others all follow suit, especially the title track, and make this album the classic that it is. I stand by my assertion that “Double Vision” is the best album by Foreigner. 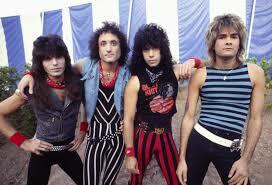 It is a good rocking album that after more than thirty years, has been a solid rock for many great rockers like me. Every male group of friends have their “cruising song.” It is one they all agree they like and one that they thing punctuates them the most. The song can change and another song takes over, but no matter how many times it does or how long it lasts, one song will be designated the cruising song. For a six month period, from October 1977 to April 1978, “Cold As Ice” by Foreigner from the debut album was the cruising song for me and some of my friends. “Cold as Ice” propelled Foreigner onto the rock scene and got the attention of many listeners, especially rockers like me who were looking for shelter from the disco storm that was all around back then. The hard rock sound breathed a bit of fresh air to the many who embraced it and even for those who weren’t into the even harder rock of Ted Nugent, which I was, it was still a very palletable album. The follow up from “Cold as Ice,” “Feels Like the First Time” was also a very big hit for Foreigner. Although it never became one of my cruising songs, it helped make the debut album establish them as a force in the rock world. In late 1977, the rivers of rock were flowing fast and was getting close to overflowing. 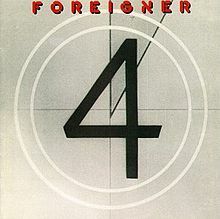 This debut album from Foreigner was one of those which helped speed the rushing waters.